Sophie Dawson is an award winning author of Christian Historical Fiction. Her first novel, Healing Love, has won multiple awards including a Silver Medal, Readers’ Favorite 2013. She is a member of Christian Independent Authors and Association of Independent Authors. Her eclectic interests amuse her husband unless he has to help with the finishing of a project she’s overestimated her skills in completing. Sophie posts to several blogs including Little Bits Blog on her website; http://sophie-dawson.com. Seeing the Life by Sophie Dawson is a wonderful fictional account of the most glorious true story ever told. Beginning with Mary going into labor in the stable of a Bethlehem inn, Sophie Dawson takes us through the life of Jesus, right up to the day he ascends into heaven in the sight of hundreds of witnesses. Although much of the story is fictional, it includes a great many actual events recorded in the Bible. I was particularly intrigued by the way the author built a long-standing relationship with some people mentioned only tangentially in the Bible, such as Joseph of Arimathea. This clever technique allowed her much freedom to create a plausible and culturally accurate history without veering one iota from the truth of the Gospel message. Seeing the Life is a brilliant and extremely well-conceived story, presenting the life of Christ as recorded in the scriptures, but augmented with non-scriptural day-to-day events and activities very much in keeping with the time and place in which Christ walked the Earth. Seeing the Life is the kind of story that should capture the imagination of people who either do not or will not read the Bible, potentially being the instrument whereby they might become convinced of the truths to be found therein. As such, I believe this could be a very useful witnessing tool, particularly for teenagers in your home. Ms. Dawson is to be commended for developing a remarkably believable story. I’ve been familiar with the biblical account of the life of Christ my whole life, but Seeing the Life is perhaps the single most comprehensive compilation of biblical, cultural and historical fact, woven within the matrix of a fictional background, that I have yet encountered. In recent years Hollywood has produced a few such accounts, but they all seemed to have been primarily vehicles by which the producers could present horribly graphic depictions of violence and blood-letting. 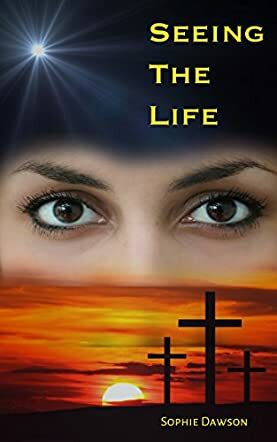 Sophie Dawson took great pains to be respectful and inoffensive in her account of the crucifixion of Christ, perhaps the single most cruel and unnecessary form of torture and execution ever practiced on planet Earth. Seeing the Life is a book I highly recommend. It may help you to see the light.